Martin made the transition from the private sector into the third sector in April 2000. He was Director of Corporate Services at BCHA, before becoming Chief Executive in January 2007. At BCHA, Martin has enjoyed working in a fast-growing and diverse environment. He has drawn on his considerable previous experience of managing change and building relationships with external bodies. Working with colleagues across the organisation, Martin is helping BCHA to achieve our growing ambitions. Martin established BCHA’s social enterprise, Sequal Solutions (now The New Leaf Company), to provide a range of services for the third sector. Martin joined BCHA in November 2016 with Director responsibility for Finance, IT, HR, Governance & Strategy and brings over 25 years’ experience as a finance professional in the housing sector. He is a chartered accountant with an early career with KPMG where he gained wide financial and commercial experience across a variety of private and public sectors. He specialised in housing associations becoming the firm’s lead manager on the south coast. Before joining BCHA Martin spent 22 years at Spectrum Housing Group where, as Group Finance Director, he oversaw significant business growth and change taking private finance facilities to over £500m. Martin has a collaborative and customer focussed management style with a passion for delivering social purpose through a commercial approach. Stacey Northover joined BCHA in August 2015 as Assistant Director of Housing and Customer Experience. Stacey has worked as a housing professional across the South West of England, delivering services at all levels in tenancy management and customer experience for last 20 years. Stacey has a clear drive to want to help deliver quality customer services as well as ensuring that BCHA homes are where people would choose to live. Stacey has worked in developing digital services for customers in her previous organisation Aster Group, and has continued this work within BCHA. This is in recognition of the shift in customers wanting to access service out of the traditional 9 to 5, Monday to Friday approach and more towards self-serving options which will support the modern working life. With Welfare Reforms still being rolled out, Stacey is keen to ensure that customers are as informed as they possibly can be in order to allow for customers to be financial secure for the future. This will continue to be a focus as we develop our digital offer further for customers at BCHA. 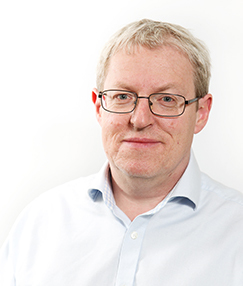 Phil Baker is a qualified housing professional with nearly thirty years’ experience in social housing, in both local authority and housing associations. Phil has been with BCHA for nearly 18 years in variety of corporate roles and as Head of Governance & Strategy, he has oversight of governance, risk and business assurance. 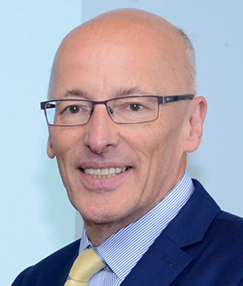 Phil has also been Company Secretary of BCHA and its subsidiaries (excluding New Leaf) since 2007.